A bill criminalizing the usage of any “non- hands-free personal wireless communication device” was signed into law by Gov. Gina M. Raimondo, one of the bills to make it past the Governors desk despite the budget dispute embroiling the General Assembly. The law will go into effect June 1, 2018 and prohibits usage of a phone to your ear while driving a vehicle, with a $100 fine if caught. 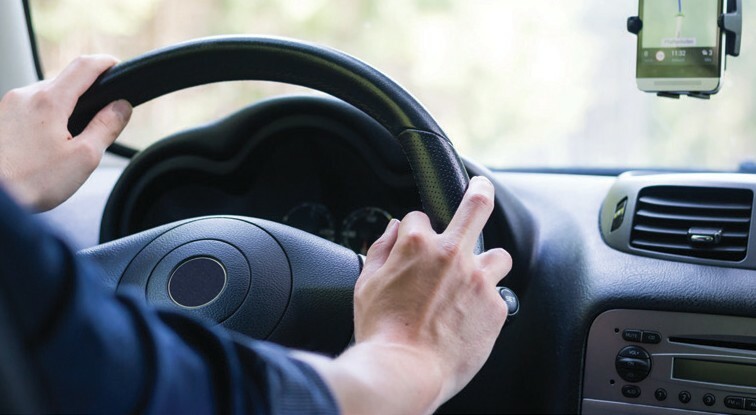 Now is the time to equip your vehicle with bluetooth, ear pieces and other hands-free ways to use your cell phone for emergencies or navigation, as other New England states uphold these bans (CT, NH, NY and VT). Reminder that in both RI and MA, texting behind the wheel is not allowed by law. Please note, this article was written to help you in general terms. Please consult an insurance professional to discuss your specific situation as it relates to things discussed in this article. Apple Valley Insurance helps people and businesses with insurance needs. We are a locally owned Rhode Island independent business that enjoys working with fellow small business owners. We serve all of Rhode Island and have many options, providing personal and business insurance programs. Contact us for a review or if you are concerned about having the right insurance coverage. Previous Post: It’s Summer… Are Your Toys Covered?